So just when you thought all the giveaways were over, the festivities had ended and the back to work lull had kicked in……..I’m here to liven things up again! I am very excited to announce that I am once again teaming up with Groseeds, ‘the seed company who gives back’ to giveaway not only £100 worth of seeds! But also the chance to win a discount code for their website valid for the whole of 2018! Groseeds is a small, young company based in N Wales with a mission to impact lives by inspiring people to engage with the natural world through gardening and in doing so change the lives of less fortunate people. With every seed packet (free or paid) providing 1 person in Malawi with safe clean drinking water for 7 days. The list of vegetable and herb seeds available to purchase and hopefully win is enough to get any gardener excited for Spring. Who could resist entering?! 10 x 20% off discount codes for their website valid for the whole of 2018 with no spend minimum or limit. In total, that’s 20 individual prizes! Follow Life at No.27 and Groseeds on Twitter or Facebook; if you don’t already. Why not triple your chances too, by subscribing to my YouTube channel here and letting me know. All entries across Twitter and Facebook will be collated and checked. With a lucky dip being drawn and two new winners announced every day for the 10 days of the 22nd – 31st of January. 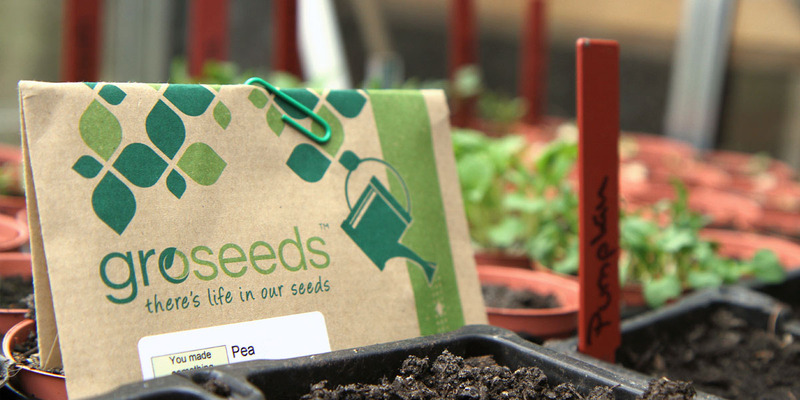 Want to get your hands on a share of over £100 worth of seeds of your choice? – A lucky dip will be drawn every day announcing 2 winners; one voucher and one 20% off, for 10 days from the 22nd – 31st of January. – Winners will be announced on Twitter & Facebook, receiving a Direct Message, where I will ask for an email address so that Groseeds can send you your voucher or discount code directly. I’ve followed you on Facebook and You Tube, where I am Jane Willis, and on Twitter where I am @janesgrapevine and have shared on Facebook and Twitter, tagging in a friend on Twitter. I have great plans for 2018 as I am now looking after one of our steam train platforms and I want to plant it up with lots and lots of lovely flowers. Hi! Thank you very much for following everywhere, sharing and entering, good luck!! 😀💚 Wow, sounds like a great project and am sure it will look amazing. Another great giveaway on Life at No27! Yay! I have been following you on Twitter and subscribed to YouTube channel for a while now. Always interesting videos! Shared your blog post on Twitter! Hi I already follow on twitter @UptonAndrea and following groseeds now too. I have shared the blog post on twitter. Fab giveaway – I’m following you over on Twitter (@Jo_Rodgers)! Shared on both Twitter and Facebook! Good luck to all entered! What’s your Twitter handle please? Hi Christine, thank you very much and welcome! I followed you and Groseeds on Facebook where I am Natalie Nott, I shared the blog post on my Twitter @nottsincotton and also followed your YouTube where I’m also Natalie Nott. I’ll also tag my friends/family on my Twitter.